Get the best of both worlds with the Luxe Collection, a beautiful blend of vintage style and modern sensibilities. 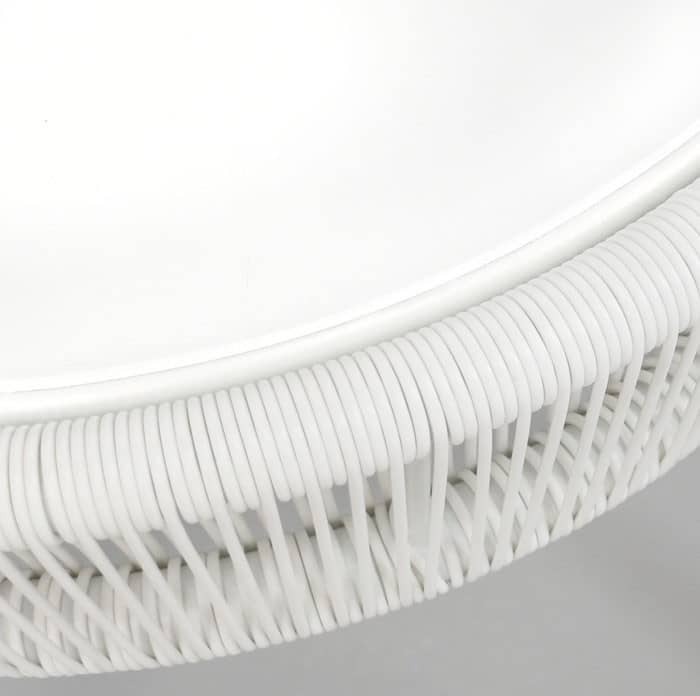 Luxe is all about beautiful curves; strong lines and creating an airy feel in a solid piece of furniture. What better way to celebrate a great group of friends than in a fabulous, comfortable and stylish arrangement, from Design Warehouse? 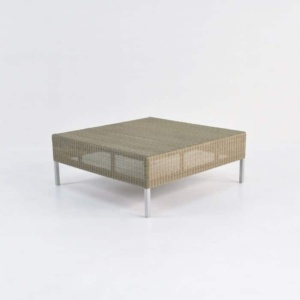 The Luxe Outdoor Coffee Table in soft white is a welcome addition to this collection and to your home! 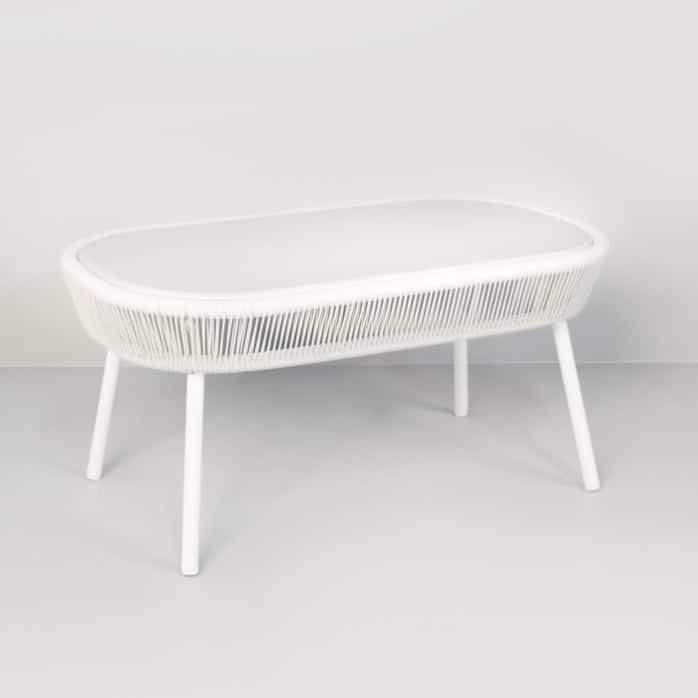 Whether you’re pairing it up with other Luxe items or featuring it in another collection, the Luxe Outdoor Coffee Table (White) will add freshness to your space! All Luxe pieces are built out of lightweight, high quality outdoor materials; beginning with a Powder Coated Aluminium frame with Ecolene® HDP Outdoor Weave, these materials ensure long lasting products with minimal maintenance as well as a stoic, glamorous appearance that our customers love! Want to energize a flat living room? 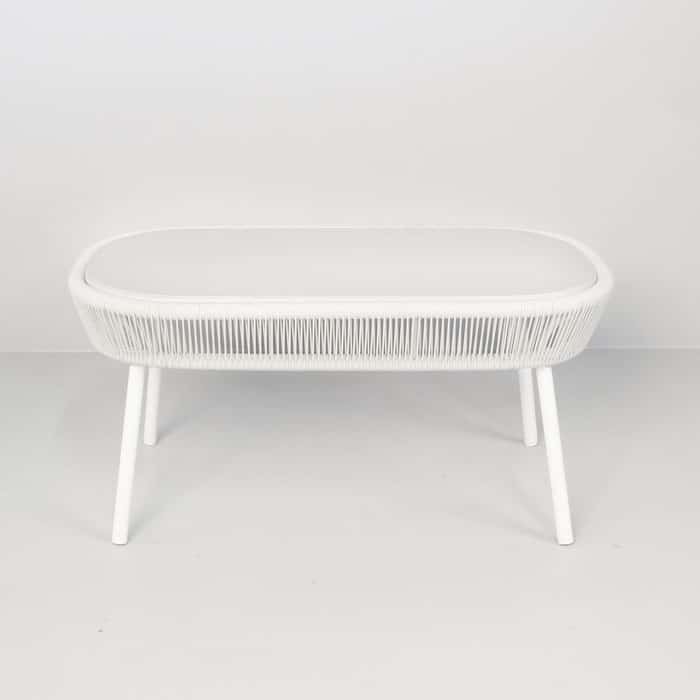 Place the Luxe Outdoor Coffee Table (White) in front of your sofa for a sharp, contemporary look! Perhaps you’ve just moved into a modern apartment with a small balcony, and what you need is something that won’t take up too much space, but enables you to enjoy the view with a morning coffee. Purchase the Luxe Outdoor Coffee Table (White) with the Luxe Outdoor Loveseat in matching White for a beautiful, chic, simple setting you will love. Luxe will update your space in an instant. Call us now to discuss what pieces will fit your space best.